Melvyn Bragg and his guests discuss Alfred, Lord Tennyson's poem In Memoriam. 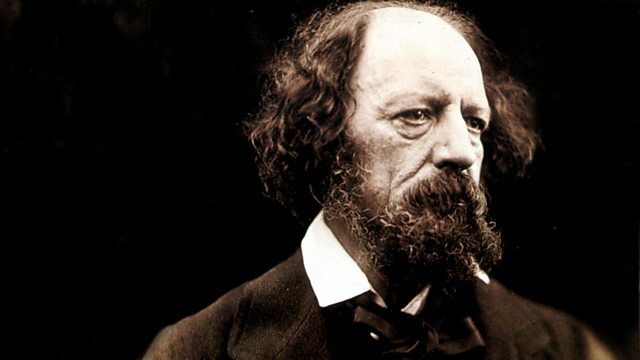 Melvyn Bragg and his guests discuss Alfred, Lord Tennyson's long poem In Memoriam.In 1850, shortly before his appointment as Poet Laureate, Tennyson published a work which many critics regard as his masterpiece. In Memoriam A.H.H. was written in tribute to a close friend, Arthur Hallam, who had died seventeen years earlier. The two had met while at university in Cambridge; during one summer when Hallam was visiting Tennyson he had fallen in love with and become engaged to Tennyson's sister, Emily. When Hallam died suddenly at the age of 22 Tennyson was torn apart by grief. He started to write verses for In Memoriam almost straight away, but it was only later that he assembled these fragments into one long poem. The work is a farewell not just to Hallam but to an entire system of thought. New geological discoveries meant that Biblical certainties, such as the age of the Earth, were suddenly thrown into question. Tennyson realised that the advent of new scientific certainties meant the death of old religious ones. The work was enormously successful; one early reader was Queen Victoria, who after the death of Prince Albert wrote: "Next to the Bible, In Memoriam is my comfort".With: Dinah BirchProfessor of English Literature and Pro-Vice-Chancellor for Research at Liverpool UniversitySeamus PerryFellow and Tutor in English at Balliol College, University of OxfordJane WrightLecturer in English at the University of Bristol. Producer: Natalia Fernandez.